Why are chromosphere and corona hotter than photosphere even though they are further from core? How do we know about Sun's interior? What is the Sun's energy source? 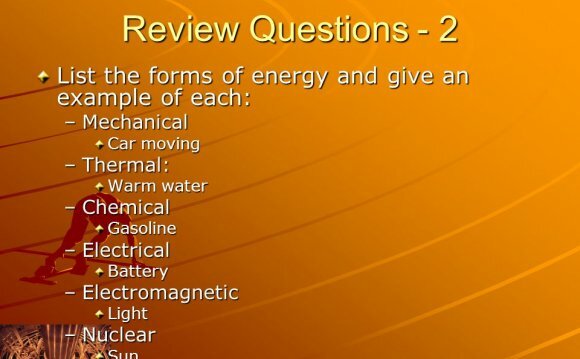 chemical energy from burning of fossil fuels (a few thousand years) gravitational contraction, gravitational potential energy -> kinetic energy -> heat, radiation into space ( ??? increase in mass with velocity: closer to speed of light, more energy goes into increasing particle's mass than into increasing its speed can work in reverse too: conversion of mass into energy, matter is ``frozen'' energy E = mc2 heats the Earth's core when a nucleus splits, the components have slightly less mass than the original difference in mass is converted to energy (via E=mc2) chain reactions require high enough concentration neutrons released as decay product each release triggers another decay continue until stable element in middle of periodic table, like iron, is reached lighter elements converted to heavier elements as lighter nuclei merge merged nucleus has less mass than starting pieces, so energy is released even so it requires tremendous particle energies to overcome electric repulsion of protons unlike fission, cannot occur spontaneously - extreme physical conditions required, such as tens of millions of degrees goal of a controlled fusion reaction, but reactor materials melt at a few thousand degrees! NUCLEAR FUSION! "THE SUN ON EARTH"
Energy & Electricity in Science : How Does the Sun Work?